Chat for LinkedIn is the new app that keeps you connected to your most values network, your LinkedIn connections. With LinkedIn Chat, you can instantly chat with whoever is online from your network, sending offline messages. 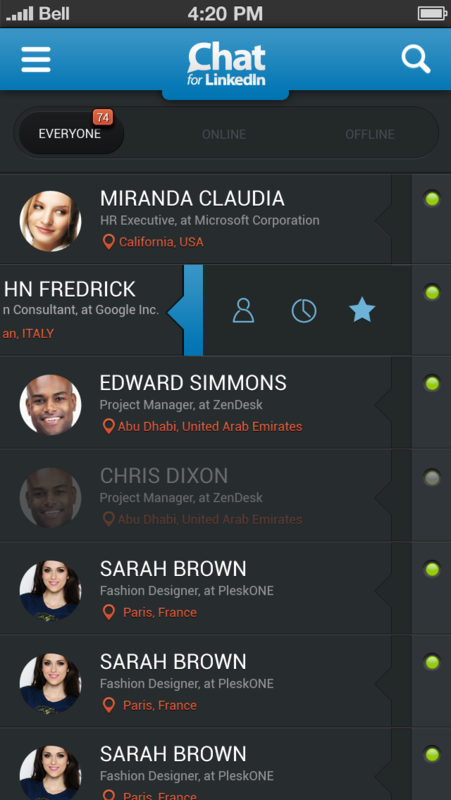 Port your entire LinkedIn network into one mobile app so you can chat instantly with them. With this App You can get in touch with your LinkedIn connections automatically without looking for them. + Message will be saved in server when user offline. 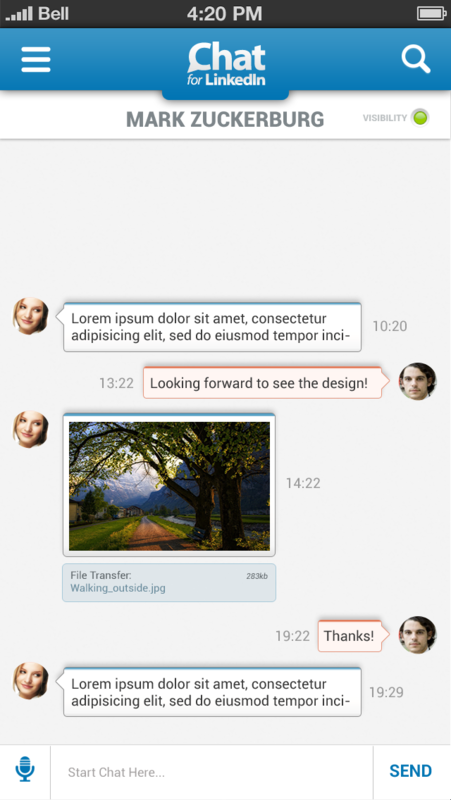 "Chat for LinkedIn" is a cross-platform mobile Instant messaging app which allows you to send instant messages to your LinkedIn Connections. 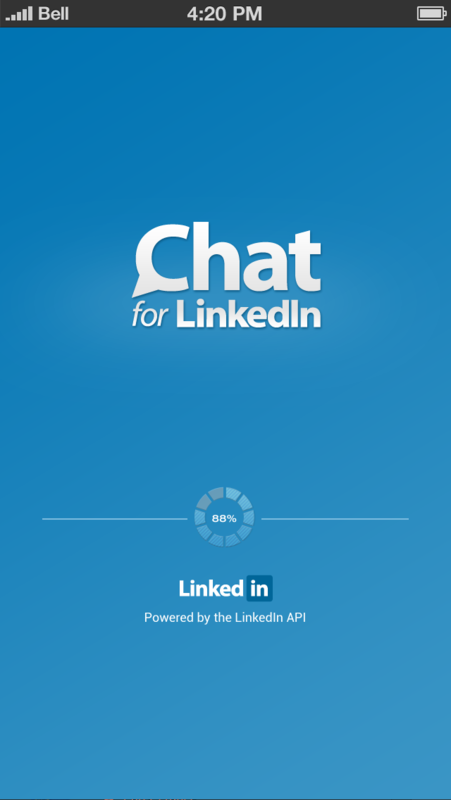 "Chat for LinkedIn" is for those that need to keep in touch with other professionals on the go.